Working with nature has countless benefits for you and your community, as well as the environment. Read our suggestions and take some immediate actions to improve your environment. Trees not only absorb carbon and other harmful gases while providing oxygen, they provide a whole host of other benefits. Trees improve ecosystems by providing habitat and food; they help reduce flooding and soil erosion; they also reduce noise and air pollution; enhance well-being and local scenery and even increase the value of property. There are several organisations that are available to assist with materials and expertise in selecting the best native trees. 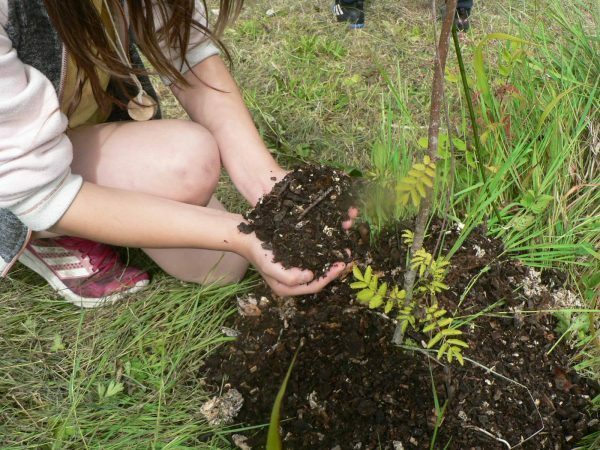 Where in your community could you plant some trees? Who’s permission will you need? 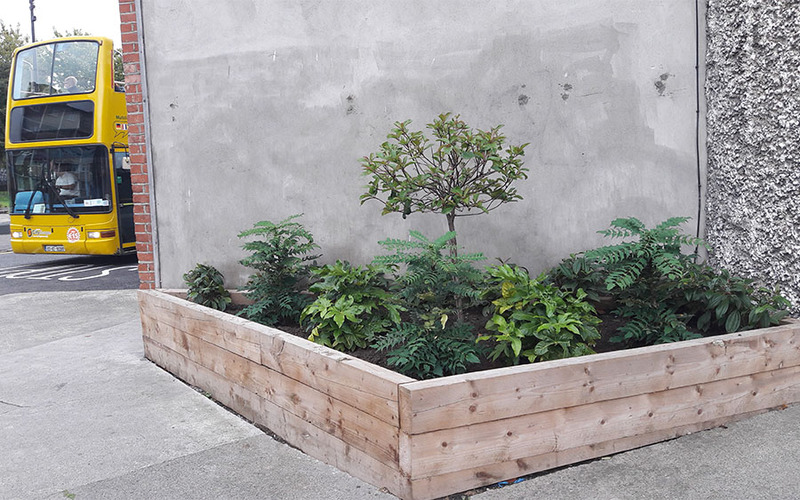 Once planting permission has been granted, the remaining work can progress within your community as a group project. Tree Trails can help educate your community about the local trees, enabling a deeper connection and understanding of their environment through information signage of the various native tree species. The better we understand our environment, the more we will connect with it, have pride in it and want to protect it. Community groups such as the Men’s Sheds have provided assistance in such initiatives across the country. Accompanying websites and workbooks can be developed to allow students and locals learn at a deeper level the related history, folk lore, geography and science. 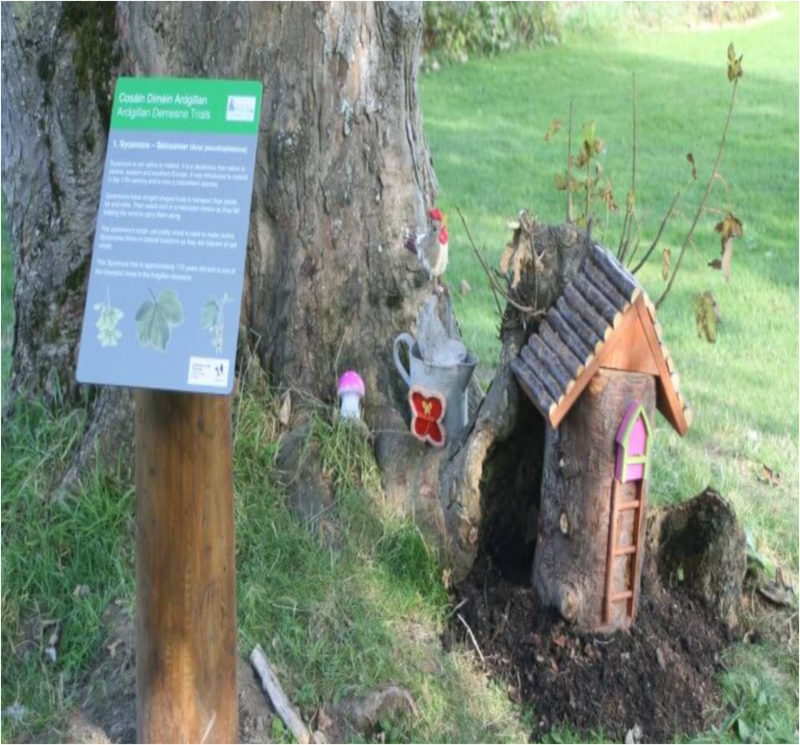 By adding ‘Fairy Trails’ it adds another dimension for the young to connect to their environment, giving them ownership and encouraging them to become custodians of their environment. Bees have struggled with pesticides, habitat loss and disease and now they are also having to cope with climate change. Bees are vital for our food supply by pollinating fruit, nuts, vegetables and flowers. Seventy out of the top one hundred human food crops — which supply about 90 percent of the world’s nutrition — are pollinated by bees. By joining the All-Ireland Pollinator Plan, you can help by monitoring pollinators in your community. 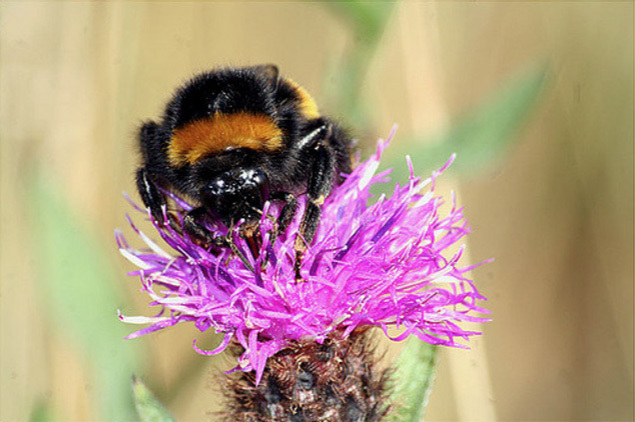 You can encourage your community and local authority to stop using pesticides such as ‘Round-up’ in your community, protect wildlife habitats and restore ecological agriculture. A full list of actions are available in the Pollinator Plan. Greening a public space is usually transforming a derelict or underused site into an area planted with grass, shrubs and/or trees. It can provide for formal and informal sport and recreation, preservation of natural environments, provision of green space and even urban storm water management. Personal benefits are associated with better perceived general health, reduced stress levels, reduced depression, greater sense of community and lots more. With climate change, benefits include managing higher temperatures; managing surface water and helping other species to adapt. By greening public spaces within your community you are also helping the public connect with each other and with their environment. With the increased stresses added to our environment due to climate change, issues such as invasive species are becoming more prevalent. There are guidelines on what you and your community can do to prevent and reduce the spread of these species, raise awareness, map their location and control management. If the problem is deemed to be significant, you can also gain the assistance of your local authority. 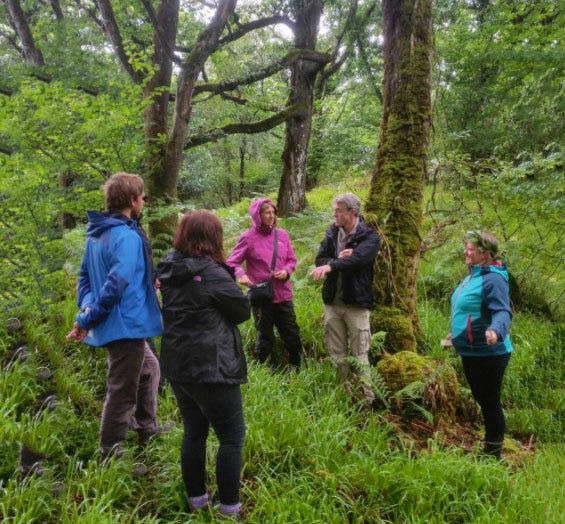 Organising a biodiversity walk or cycle is a great way to connect the outdoors and members of your community in a fun, interesting and engaging way by exploring the plant and animal life of your surroundings. Perhaps invite specialists of biodiversity to give a talk along the way. Discussions can be had about how climate change will impact on the surroundings you are walking through and what action can be taken to reduce the effects and the help adapt to changing climate. There is a growing movement to engage the public in collecting scientific information, known as citizen science. The idea is that members of the public gather information about what is happening on the ground which scientists then use as data to further scientific understanding. This information plays an important part of our understanding about what is happening in relation to climate change. It can also be a good way to enable your community to better understand and connect with their local environment. The data can also be useful for local authorities. 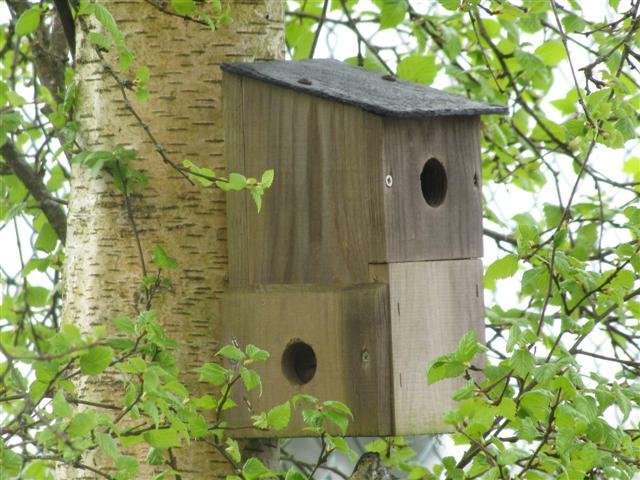 Building bird or bat boxes can be a creative way to get your community to help our winged friends to thrive. Historically bat populations have greatly declined in Ireland but populations are stabilising or even increasing of late with the help from groups like Bat Conservation Ireland. Some Irish birds however, are in a serious state of decline. There is mounting evidence that milder winters on the continent as a consequence of global warming may be directly responsible for the decline. So they need all the help they can get. Birdwatch Ireland for example are a group involved in species and habitat conservation and are a reliable source for practical guidelines. 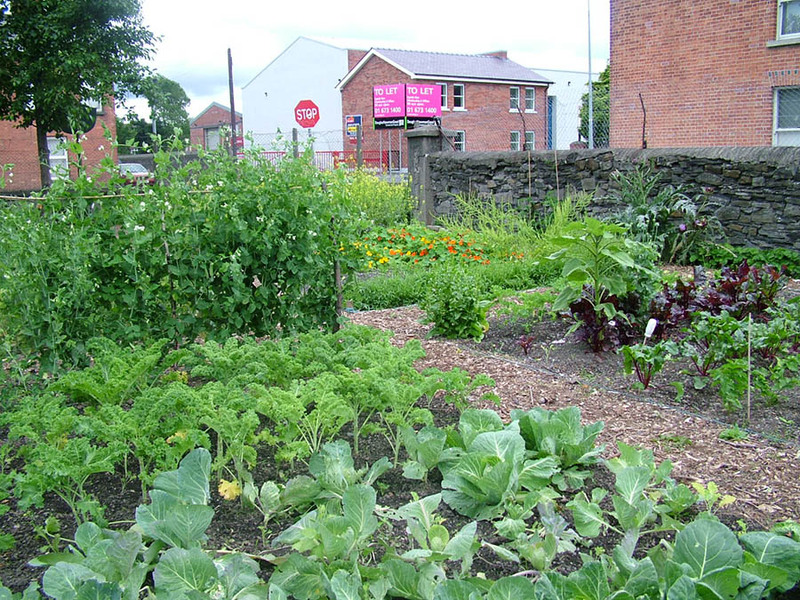 Starting a community garden is such a positive thing to do and will ensure a whole host of environmental benefits: reduced food miles, reduced food wastage, soil improvements and carbon sequestration. 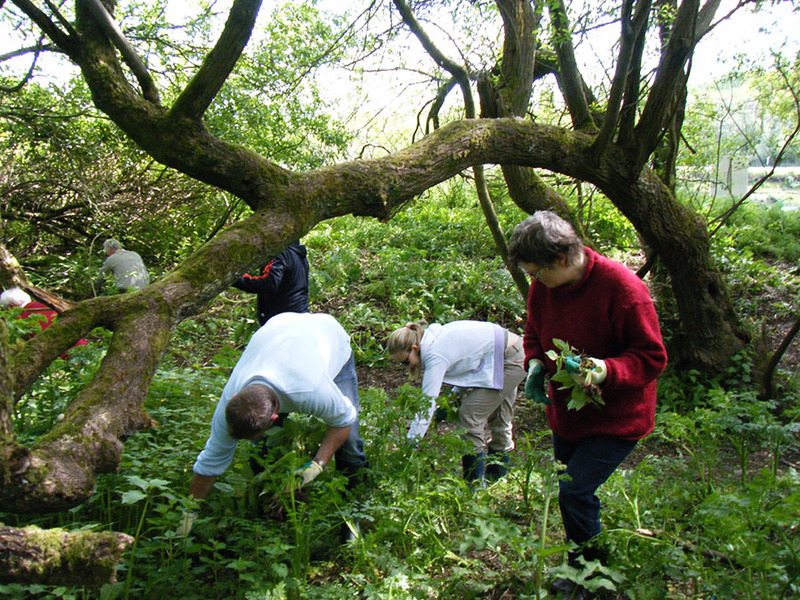 Not to mention other social benefits including learning a new skill; improving health and well-being through the act of gardening and improved diets; generating a greater sense of community and a deeper connection and understanding of the environment. Rain Gardens can help with local rainwater management by absorbing rainwater while also improving biodiversity. A rain garden is a planted depression or a hole that allows rainwater runoff from impervious urban areas, like roofs, driveways, walkways, parking lots, and compacted lawn areas, the opportunity to be absorbed. 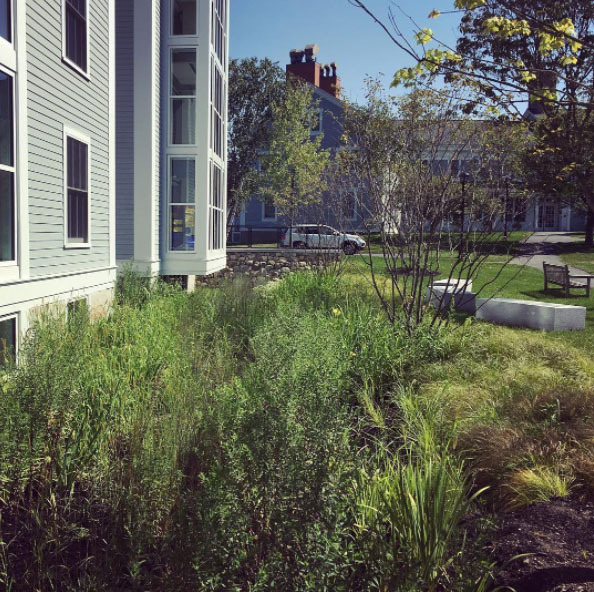 Rain gardens are self-irrigating planted depressions designed to reduce storm water runoff, pollution, and replenish groundwater supplies. 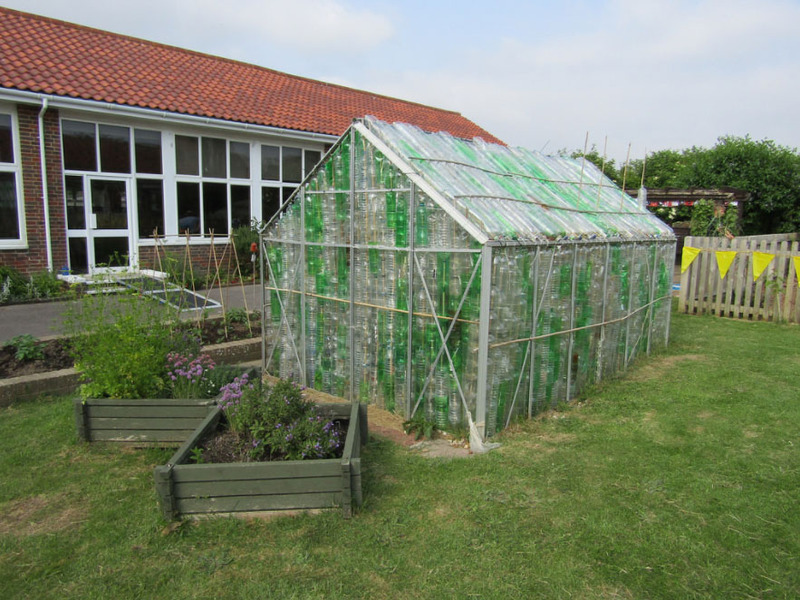 Building a community recycled greenhouse is an excellent project that will reuse objects such as plastic bottles which typically are disposed of after only one use, so before any gardening benefits are enjoyed, waste is already being minimised, thereby reducing your communities carbon footprint. The benefits of having a cheap greenhouse in your community garden can allow a wider variety of fruit and vegetables to be grown, sure to bring a smile to every budding and seasoned gardener. 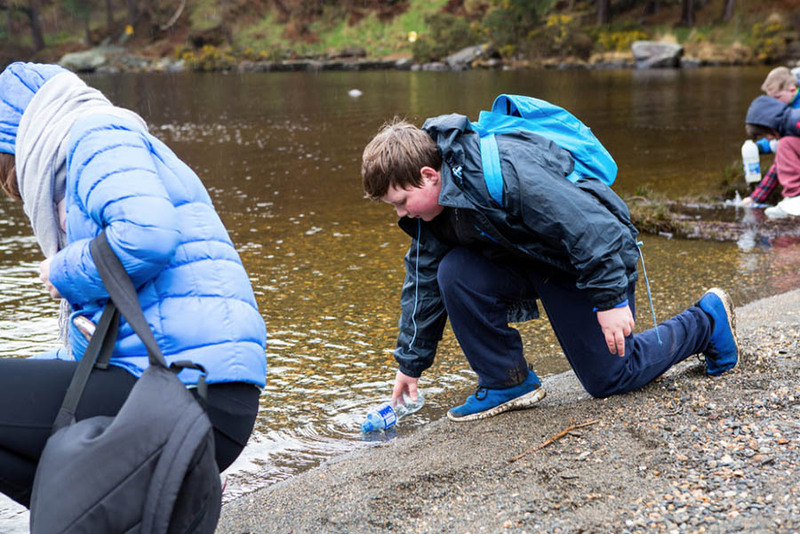 Collecting the plastic bottles within your community can be a good way of raising awareness of your project and recruiting others to get involved. Celebrate at harvest time with a community gathering to enjoy the food and discuss what other great projects you can achieve together. 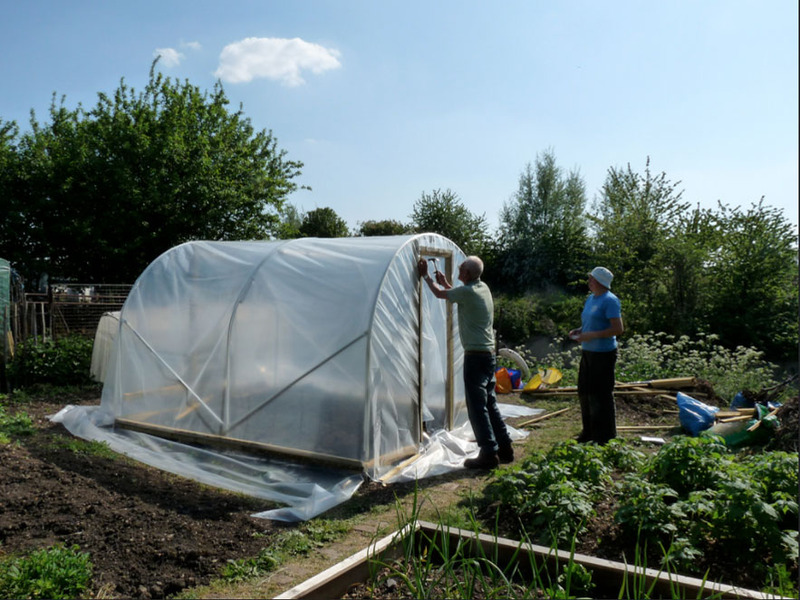 A polytunnel is a framed tube covered in a plastic (polyethalene) sheet. The idea is to regulate temperatures better and to allow an increase of temperatures within the polytunnel to those of the external environment, allowing you to grow a wider and more exotic variety of fruit and vegetables. The links below outline how your community could make their own one or alternatively you could organise a fundraising event in your community to fund buying one, which typically would cost a couple of hundred euros. Composting is turning food and garden waste into a useful resource. Your community will save money by reducing their bin charges while generating food for plants, fruit and vegetables they are growing and also improving the local soil. By eliminating the need for soil improver from peatlands, many of the endangered species within peatlands will benefit. The local environment will also benefit by reducing food and garden waste rotting in landfills, which cause foul liquids and odours as well as Methane, a green house gas. 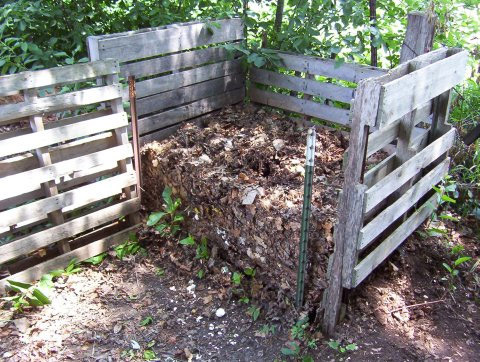 Composting at home is the most environmentally friendly way to manage biodegradable materials. Once you have been trained in composting, offer training within your community and set up communal composters.